Yes I want to go to heaven! If your answer is still "Yes I want to go to heaven", I suggest that you don't hesitate one more minute! Get on your knees and repent - cry out to Jesus with Godly sorrow and turn one hundred and eighty degrees to the one and only God, Jesus Christ. You can fool a family member, a friend, even yourself but when it comes to the true position of your heart you cannot fool God. For godly grief produces a repentance that leads to salvation without regret, whereas worldly grief produces death (2 Corinthians 7:10). After you have repented, you can be filled with the Holy Ghost wherever you are! Just lift your hands in the air surrendering to God and open your mouth and thank Him for forgiving you for a life of sin. Then with your mouth open start praising and worshiping Him and thank Him some more. It could happen in minutes or maybe hours, and if your heart is turned fully to Him, if you have fully submitted to Him, out of your belly will flow living waters and you will know that because you will be speaking in an unknown language. If you didn't receive the Holy Ghost after you repented, don't panic, don't quit; but remind yourself again and again out loud that you said "Yes, I want to go to heaven!" What may be happening is even though you think that you have, you actually have not fully turned your heart over to God. And, most likely if you search your heart, you will know what you are holding back, what you are not willing to give up. Personally, my own stubbornness and pride caused me to delay receiving this precious gift, His grace, fourteen months. Now that you have made up your mind about wanting to go to heaven and no matter what happened after you first repented, find a church where this Bible truth, the Gospel of Jesus Christ with the response to death, burial and resurrection being Acts 2:38, is preached and meet with the Pastor. 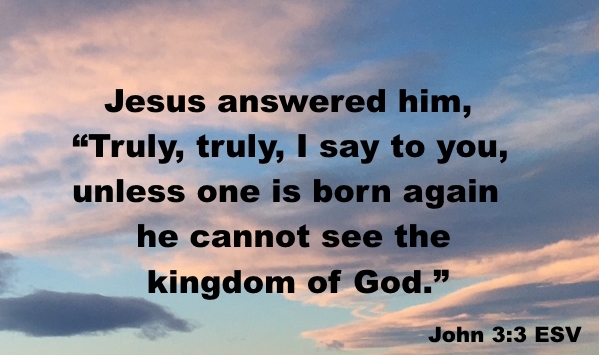 Tell him that you want to be born again, having the grace of God upon your life. If you were filled with the Holy Ghost with the evidence of speaking in tongues when you first repented, great! Explain to the Pastor that you repented and that you received the gift of the Holy Ghost. You know that because you spoke in tongues. Tell him that you would like to be baptized in the name of Jesus Christ for the remission of sins and I am sure that he will accommodate you as soon as possible. If you were not filled with the Holy Ghost when you first repented, tell him that you want the Holy Ghost and that you want to be baptized in Jesus' name. I am sure that the Pastor will be just as excited at the prospect of seeing you born again, saved by the grace of God, as you are! Now if you need help to find a church where Bible truth will be preached, then go to the Church Directory page. If that doesn't work, use the Contact Us form and I will work with you to locate the closest church. From Yes I want to go to heaven! back to Do you want to go to heaven?